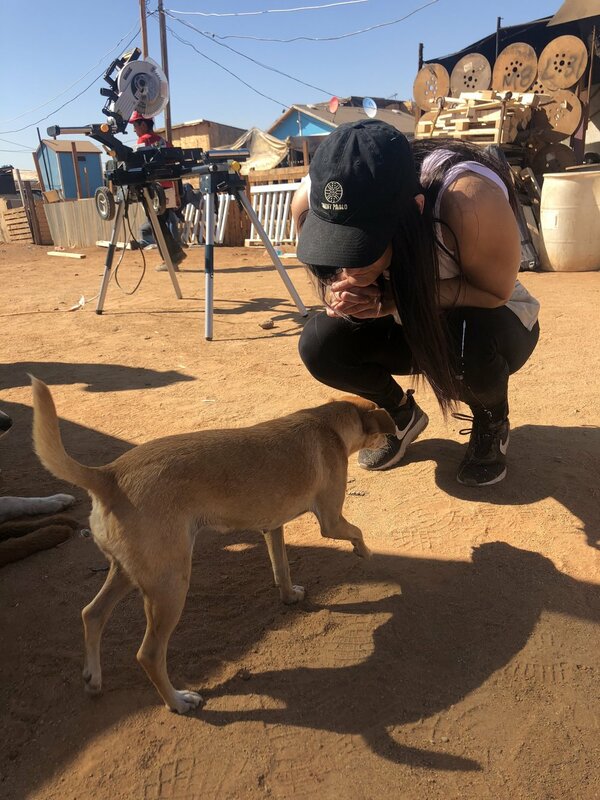 Back in October 2018 I got up at 3AM and drove to Tijuana, Mexico with my friend Jess and a group of others from an organization called Project Mercy. Project Mercy is a non-profit organization based out of San Diego, California. 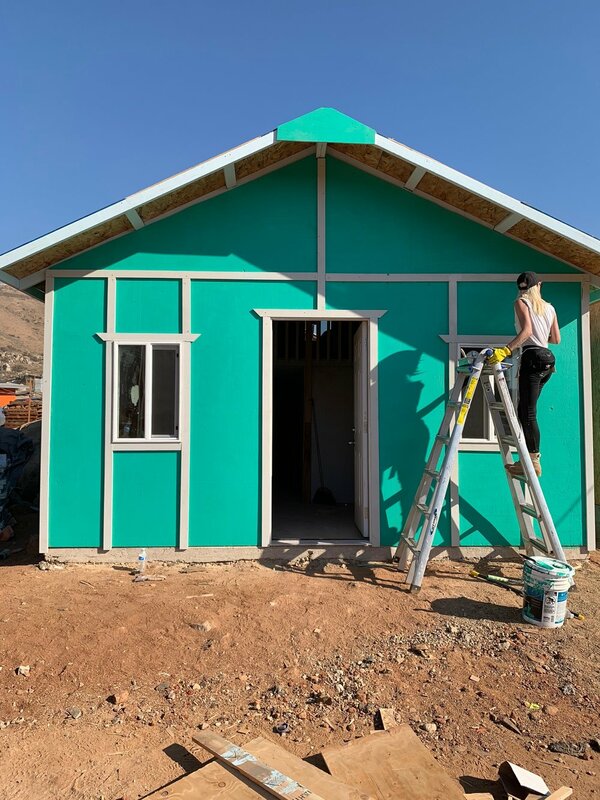 The goal of the organization is to build basic but sturdy houses for the poorest families in the outlying neighborhoods, or “colonias” of Tijuana, Mexico. The families that are chosen are based on specific criteria that is decided by the Board of Directors of Project Mercy. Construction is done through the combined effort of U.S. volunteers and local Mexican program participants. I decided to be one of those U.S. volunteers. To this day the impact we made on the residents getting these homes was priceless. It was a lot of hard work and I came back across the border in need of a serious shower, but so worth it. 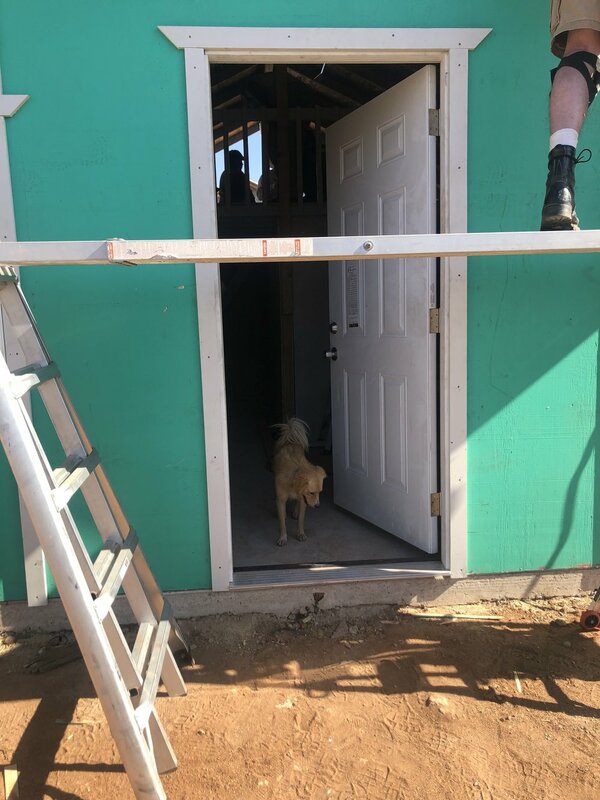 Photos will never convey the warmth I felt in my heart leaving these families with new safe and secure living spaces, but do enjoy them! I painted this whole house by myself and the families were able to choose the color of their new home! After seeing their dirt roads, I felt it necessary to never complain about the quality of Los Angeles roads again. Local dogs were so intrigued by all the commotion and humans around. I am quite the dog lover but unfortunately I wasn’t sure the last time these dogs took a bath so I had to love them from afar. Jess loving a local pup from afar. The local children having fun with their piñata. They were so happy we were there. He kept coming over trying to help me paint. I adored him! My Spanish is not too good so the language barrier was tough to converse, especially with a child, but the love and positivity we exchanged was an absolute universal language. He loved to be right under my ladder and I didn’t mind his cute little self accompanying me either. A good boy enjoying the new house. It was a great experience to share with someone close to me. I know that both of us left that evening feeling blessed, grateful, and full of peace. This is Marleni and Jacqueline in front of their new soon to be home. Marleni is a single mom working in factory making about 1050 pesos ($55.20 USD) a week. Jacqueline is 15 and hopes to be a neurosurgeon someday. Not pictured is Marleni’s son, Angel, who is 8 years old. He was there and very excited for his new house. Marleni works at night and is not able to be home most of the time to make sure her children were safe. Their original house did not have a secure lock and Marleni worried about her kids constantly. The most important thing to her was improved security. Best believe we provided that for her and seeing her cry tears of joy and appreciation towards us made me happy to put my name on that day. This experience was eye opening because I actually didn’t know most of these people heading there. Experiencing the give-back with a group of people brings such a positive and almost magical energy into the atmosphere. There was no ego involved and everyone was their for the same goal, which was to better the quality of life for less fortunate families and doing something bigger than ourselves. Helping others is so good for the soul. I swear by it. I always leave experiences like this with a clear mind. It puts life into such a perspective. We are so lucky to just wake up every morning and be able to put our two feet on the floor. Some people don’t even have feet, so be thankful you have those too! It’s easy to get lost in what doesn’t matter and sometimes you just need to be reminded of how beautiful life actually is. It’s simple, we are all lucky to be here and do this whole human experience. Enjoy it while you can and give back when you can. It feels so good. I have provided a list of different ways to give back, it doesn’t matter how small or big. Feel free to hit the comment button if you know of any other organizations to contribute to!